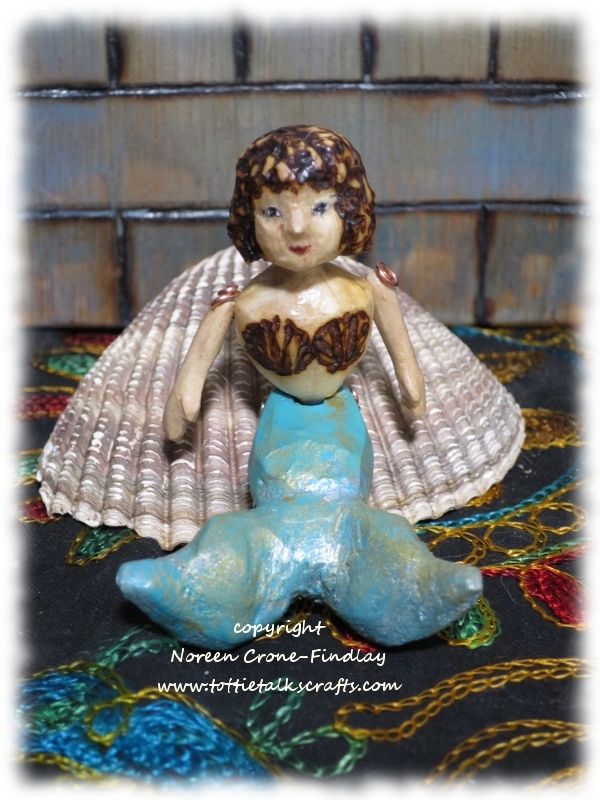 I’ve always loved mermaids…. so when a little block of wood called out, ‘Mermaid in here!’, of course, I had to get carving! Clever little Siobhan can tiptoe on her fins! 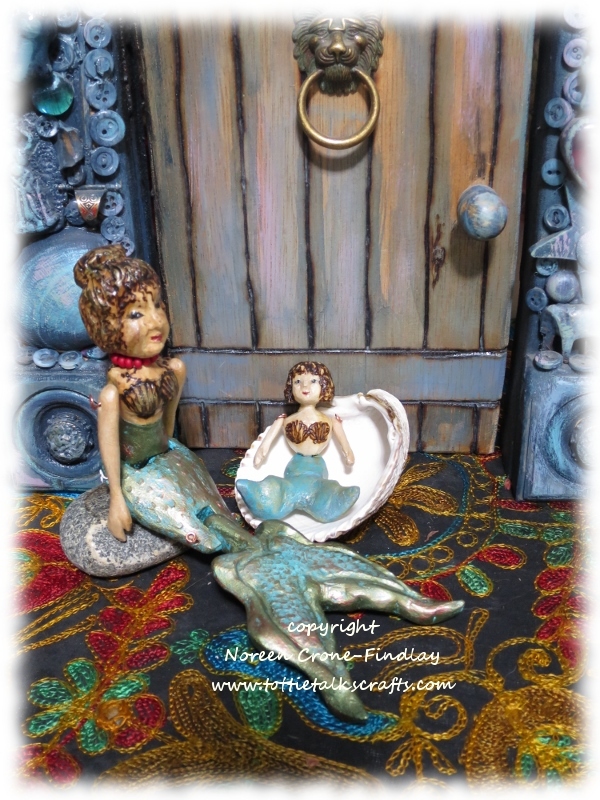 Miranda is very pleased to have another Mermaid in the studio. Siobhan is very content, too! Fun little clever being – I imagine she and Miranda will keep each other good company in the briny deep. 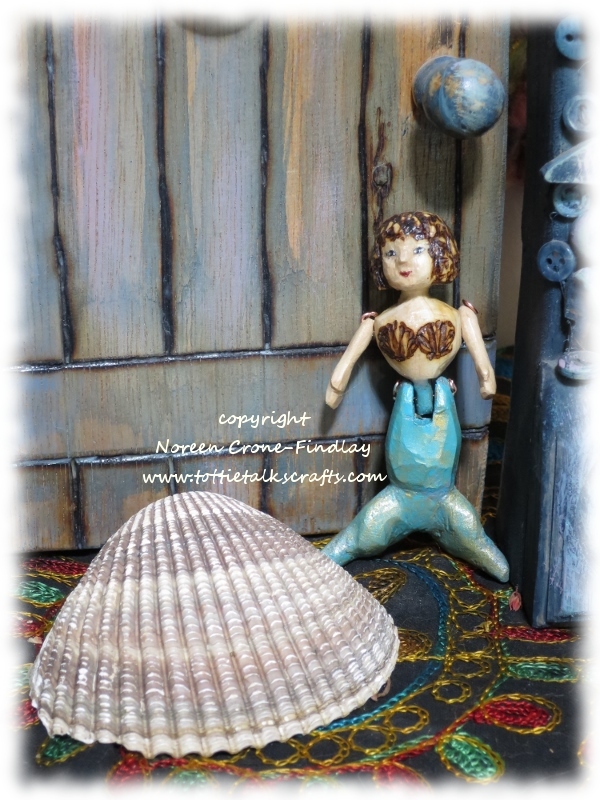 Miranda was feeling lonely for some mermaid company, so she’s enjoying having Siobhan in the studio!